The PLÅT seminar is a major event devoted to metal sheeting and architecture. The purpose of the seminar is to highlight sheet metal facades and metal’s architectural potential, showcasing unconventional ways of utilizing it. Every year some 300 architects, contractors and consultants attend the seminar. 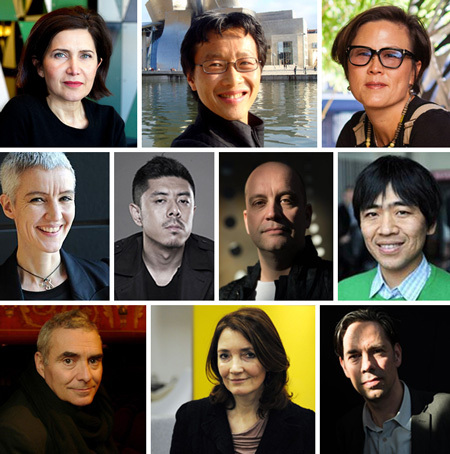 Previous key speakers have been Ryue Nishizawa of SANAA, Kengo Kuma, Karolin Schmidbaur of Coop Himmelb(l)au, Caroline Bos of UNStudio, William Zahner of A.Zahner Company, Dominique Perrault, Bruce Nichol of Front Inc, Gregory Romine of Axis Facades, Robert Greenwood of Snøhetta and Farshid Moussavi. The event is always framed by good food and good industry socializing as well as an exhibition of content rich material display cases, where experts answer questions, give out material samples and show examples of design in all metals. The organizers of the PLÅT seminars are Plåtforum, an association with leading companies within the field: Rheinzink, Aurubis, Uginox, RMIG, Plannja, Heco Nordiska, Bevego and Entreprenörföretagen. Between them they have the country’s foremost experts on copper, steel plate, aluminum, stainless steel and titanium zinc, as well as sheet metal work and fixings.